During my last trip to Yosemite my buddy Hugo and brother Fidel decided to check out these two waterfalls.. Seeing as they were the only two left that still had flowing water we decided to tackle both of them in one hike. 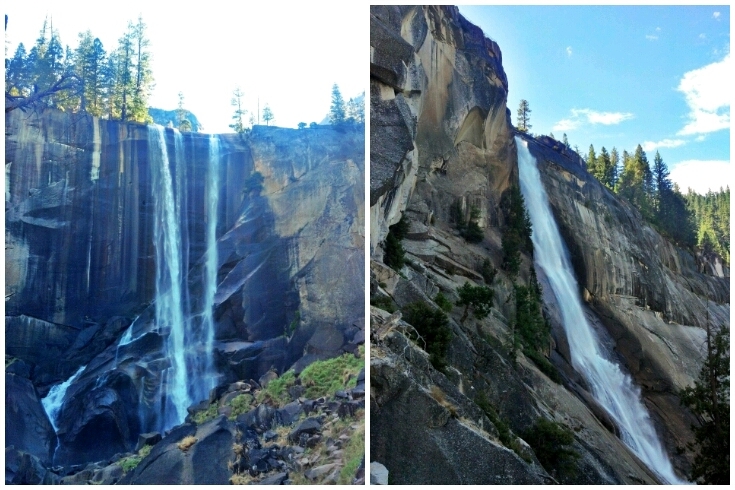 The first of these two waterfalls is Vernal Falls which is 317 ft and is the smaller of the two. The waterfall first comes to view just .8 miles into the hike. 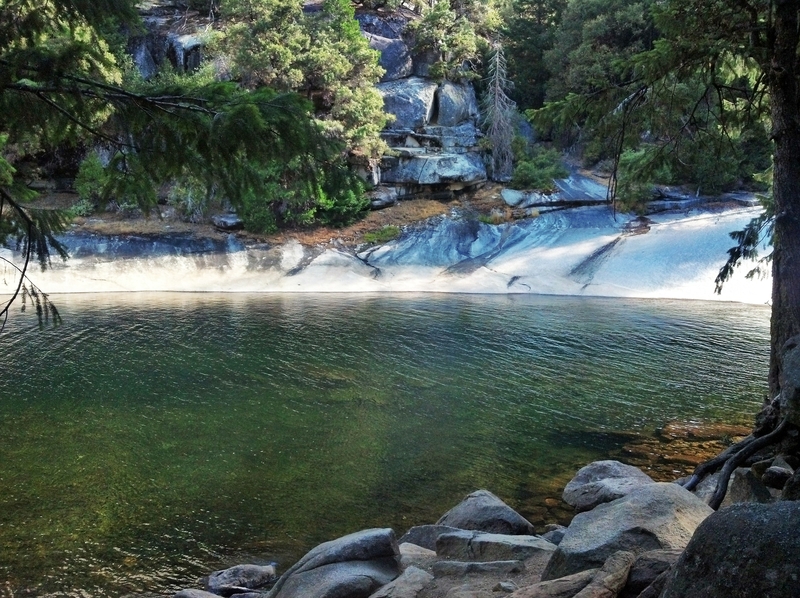 Here on the Vernal Fall Bridge you will get your first glimpse of one of Yosemite’s many beauty’s! The next .7 miles are far from easy! 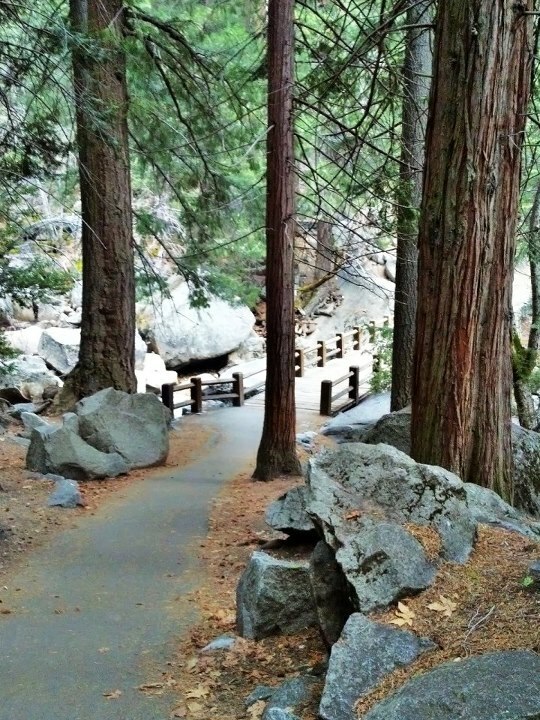 The Mist Trail consists of hard granite steps that seem to get higher and endless with every step! The beginner or average hiker might find this section a bit difficult. 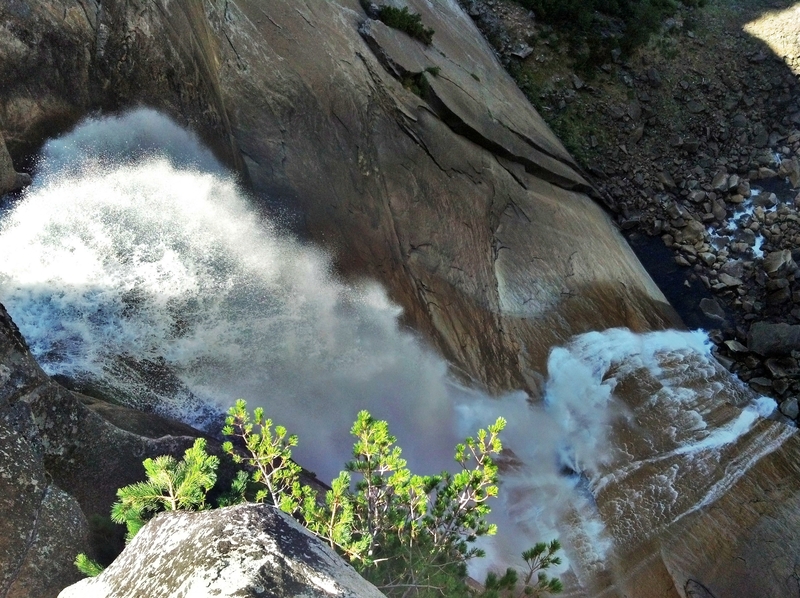 Getting to the top of Vernal Fall is a nice hike all in its own . 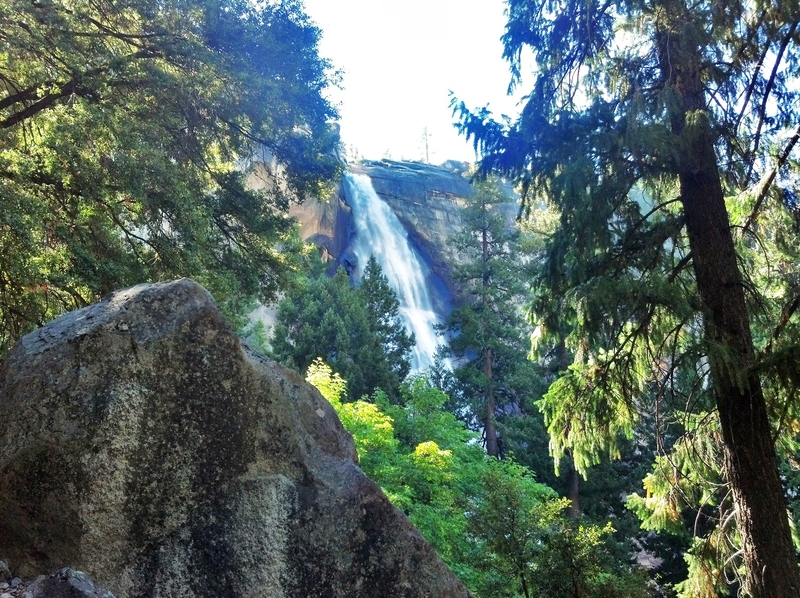 One could turn back once at the top and have a very rewarding 3 mile hike checked off their list, orrrr………..
You could continue up the Mist Trail as we did for 1.9 miles to the Larger and more impressive Nevada Fall. 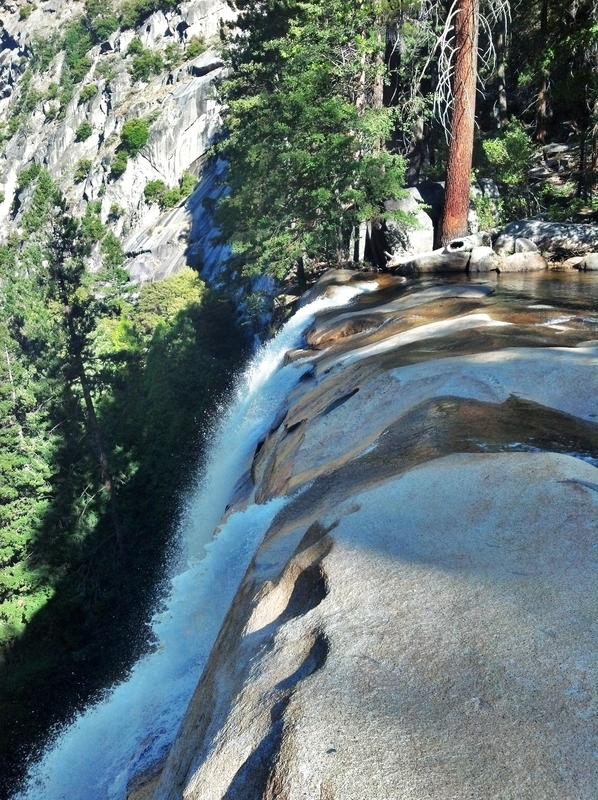 At 594 ft this magnificent waterfall almost doubles the height of Vernal fall. Along the way we stopped to check out Emerald pool. Considering it was late August and the weak winter there was still a substantial amount of water. After our quick detour we picked up the trail again and continued on. Views are Nevada Falls begin to appear giving you that extra motivation just in case thoughts of quitting are crossing your mind. Just remember, start early, take your time and drink lots of water… 3 keys to finishing any hike! The image above is all I need to keep me going. When it comes to exploring I am a very driven individual. I never doubted myself not even once.. I wasn’t going to let a few measly granite steps keep me from accomplishing this goal. Finally! We reached the top! We went over to the top of the falls overlook and took in the gorgeous scenery that is the Sierra Nevadas. Looking down on the 600ft beast was a very humbling experience..
We had two options for our return trip, A) go back the way we came orrrrrr B.) 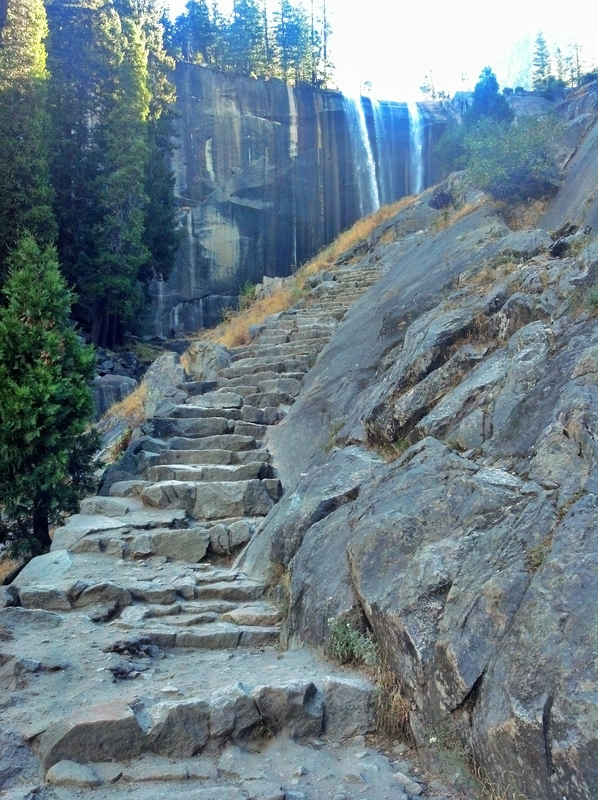 venture off onto the JMT and doing a lollipop loop back to Vernal Fall Bridge.. Yeah we went with option B.) lollipopping it adds about an extra mile but it is well worth it! Anytime you have the opportunity to loop a hike I go for it! Every step and turn offers something new. 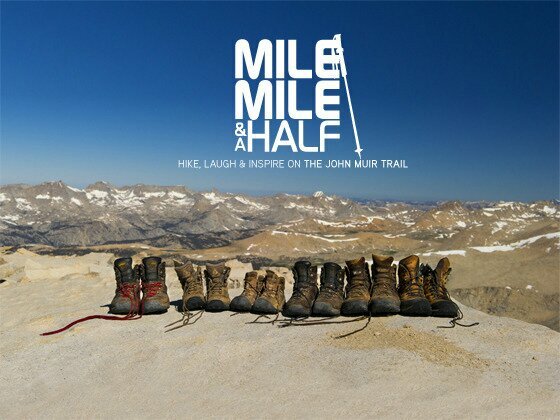 Its like 2 hikes in one. The JMT section descends down the opposite side of the canyon than the way you came up. The scenery and views are totally different. 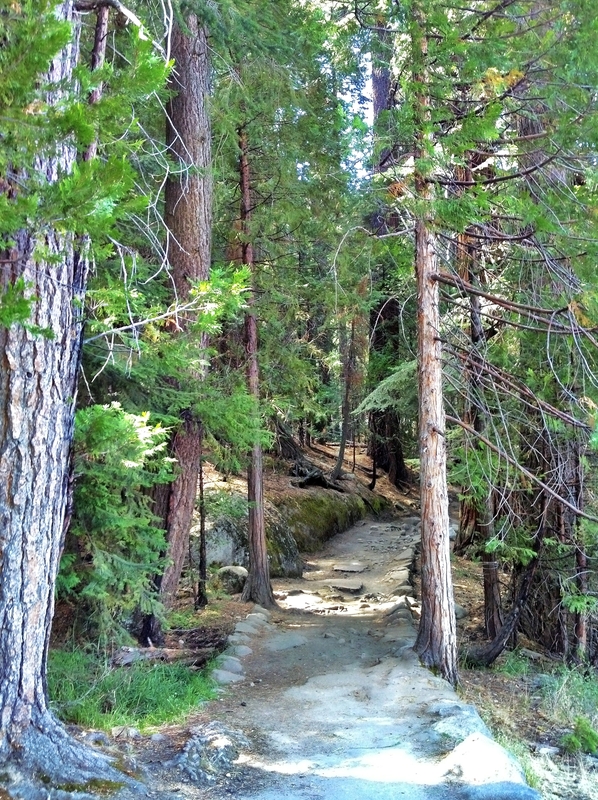 This section of the JMT is well shaded and gradually switchbacks it’s way down to the start of the mist trail. (A lot better than returning via the Mist Trail). 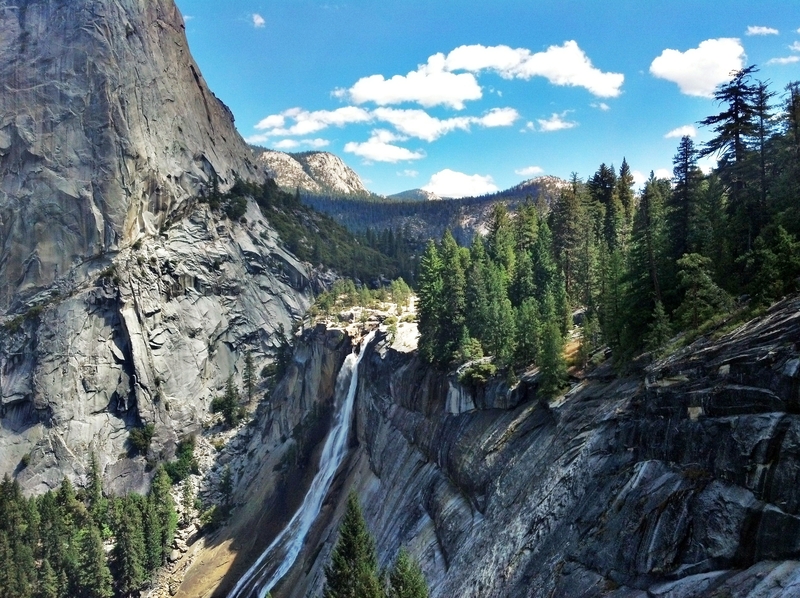 Nevada Falls can be seen from this side with great clarity. No obstructions what so ever! All in all we did about 8 miles round-trip. Explored new trails, saw 2 amazing waterfalls hiked on the JMT and still made it back to camp in time for lunch! This, like most hikes, was an amazing experience! Its definitely a must do for any hiker visiting Yosemite. To get to the trail-head one can take the Yosemite Valley Shuttle to the Happy Isle shuttle stop or you can drive to the parking lot just before the shuttle stop. The parking lot does fill up so arrive early.